Quick note of indemnity – this is a longer than usual read. Wanna run over to the kettle to make a cuppa quickly? Otherwise – here we go. The 2016 Decorex Cape Town Expo happened in the beginning of May. To be honest, I have been dragging my feet since then to write my report back on it. However, a survey that I have just completed with feedback to the organizers of the Expo has jerked me out of my state of numbness. I wanted to take my time in this post, allowing what I experienced at the Expo to integrate properly so that I could write this article from a place of sincerity. I don’t really want to give negative feedback or get into that hyper judgemental and critical space. What would that benefit anyone? So, very briefly, Marica and I were not wildly enthusiastic about attending the Decorex Expo. I guess our experience of it over the past 2 years is what was at the heart of this reluctance. We were however, offered the opportunity to attend as members of the Trade, and I felt we should go have a look-see. Expectation/Desire Number 1: Expecting Decorex to be comparable to Design Indaba Expo (sadly that expo died an untimely death in my view). This particular Decorex Expo made it quite apparent to me, that they were two different animals. Decorex seems to have morphed into more of a Lifestyle Expo, while Design Indaba was a very pure design-orientated expo. My earliest and past experiences of Decorex were that of being more interior design & decorating orientated. Number 2: The desire to see new trends on display, new products that we haven’t encountered before and fresh creative talent showing off their craft… all went unanswered. Number 3: A desire to see a greater variation of experienced creative talent and designers, revealing unique interiors – showing how it can be done. There is more, but I will stop at this point. Mr. Price Home: Wow, I think that I might well have awarded them for their display. They took the winter theme and ran with it. Included were many contemporary decorative elements, which were set out in such an inspiring, easy to read, replicable way. All very affordable at that. Let’s face it – Mr. P Home’s retail store layouts are anything but inspiring. Functional – yes, but inspiring – no! Guess that is why they took me totally by surprise. Naturally, because I am a huge fan of colour and Plascon Spaces / Colour Forecast, I was enamoured by their stand. Nothing short of total eye pleasure and delight. They tell the story of trending colours effortlessly. While on the matter of colour, the other striking colourful display was the 100% Design South Africa preview called Picture Africa at the 100% Textile pavilion. The vibrant African textile designs with its African Pop Culture flavour were stunning. That ticked the “new and fresh” box for me. I hope it gains huge traction so that the visual effects that South Africans designers can produce will spread far and wide. The other big “wow factor” at the Expo was the incredibly well designed kitchen from The Kitchen Studio. The kitchen was unlike what I have encountered before (possibly, because we have not been into too many kitchen designs of late). Inspirational stuff indeed. Milestone Kitchens was another in the kitchen genre that stood out. They manufacture compact kitchens, aptly named “Kitchen in a Cupboard“, for small studio spaces. I believe that this company has identified a growing niche market, since apartments are being built smaller and smaller. Plus the price tags were do-able, so you are sure to get a bang for your bucks. Milestone Kitchens even won the “Best Innovative Product” award for their Kitchen in a Cupboard at Cape Town Decorex 2016. Of course, there were many other exhibitors, but somehow they just did not manage to stand out in the crowd. Ultimately, for me that is the defining factor that makes a difference. There are huge numbers of feet that go through the Expo. It is so crowded in there that sometimes even the well-known designers and producers get lost in the crowd. Dorothy Van Der Riet was one such. I was so looking forward to seeing this well-known Jozi Interior Designer’s work. It was however too crowded and what I saw did not impress. I was expecting vibrant and unique from her. Maybe I would have been impressed had I been able to move in closer. On the other hand, that defeats the “MAKE A STATEMENT!” objective. FIRST IMPRESSIONS DO COUNT. That said, there are some that stayed top of mind for the wrong reasons. Most of the Man Caves were completely uninspiring, lacked innovation and creative dynamics. It was too commercially driven me thinks. There was also a much bigger than normal art display, but largely it was a commercial for my taste. As a designer, it just does not inspire. I believe that the public should be exposed to a far larger variety of decorated exhibition stands, less commercial stuff and more design stuff. 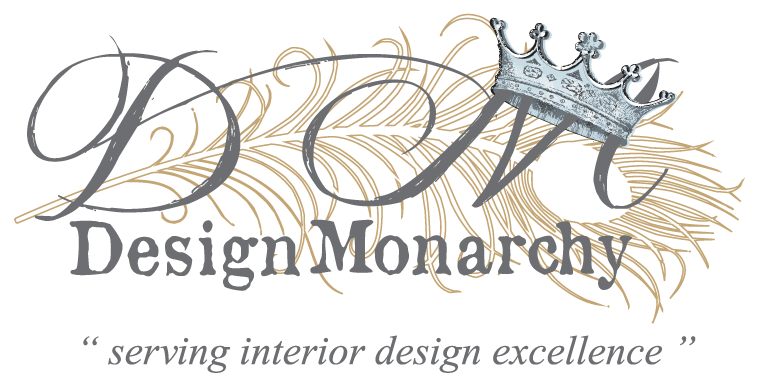 What about Decorex reeling in some interior designers and decorators to present various contemporary interpretations of a variety of interior styles. Interpretations, which will leave the viewer feeling that the pages of the décor magazines are being experienced in real time. This year saw the talented Mr. Adriaan Lochner doing just that by showcasing a beautiful blue and white interior scene of what I term “the Condé Nast Home Interior Style” – contemporary, yet timeless and classical. It is something he does almost effortlessly and so well. However, Decorex CT has seen that kind of interior before. I want more! I want different! I want edgy and unique. There is a market out there is filled with a new generation of buyers and clients that needs to be catered for more vigorously. The money power is changing hands as we speak. The baton is being passed over to the 30 something’s. The exhibitions should be an answer to their interior needs. I feel that unless design and lifestyle exhibitions in Cape Town gets a bit more edgy, we are going to go stale, remain stuck in what is current, instead of being ahead of the game. We lack that edgy Jozi energy and going stale without even knowing it, happens in a blink of an eye for Cape Town. After all, we are known for being chilled – bit to chilled maybe. We have HUGE design talent and amazingly forward-thinking creatives in Cape Town – there is no need for exhibition staleness to set in. Other than the weak Homemakers Expo, Decorex is basically all that we have left in C.T. in terms of design and lifestyle exhibitions. We have to remember that expos act as a vibrant point of reference to the buying public. We need less same ole, same ole, and more edgy, vibey and entertaining interiors scenes. So, by all accounts, it seems that I will have to take myself off to Jozi in order to experience something that may come closer to my expectations and desires. I am thinking of doing Inspire Trade Show, as well as Rooms on View. Images via Decorex Facebook Page. Did you pay Decorex Cape Town 2016 a visit? What did you think of it? Were you delighted, dazzled and entertained? Or were you disappointed?